over the last three weeks Andrew has just been "off" to me. I spoke with my pastors, began the trek in getting our hearts and minds in a good place and was just told to "rest" three weeks ago. Ive been forcing myself to go to sleep at 10:30-11 each night and was just told to take care of momma, so she can take care of those entrusted to her. I told one of our pastors I just "felt" like it was time to get our faith in a better place. Lord knows my husbands struggles watching our son suffer all these years. He's in a better place now with that. Gods placed some awesome people in his life. :) just fyi. I began weighing what was most important in life and spending a little more time with my kiddos than usual. Letting house chores sit a little longer, and Andrew and I have had a lot more play time in, time outside, and the night before we were admitted I just wanted to be with him. I had plenty of other responsibilities, final exams, and research papers due, but I just felt the need to go outside this night and swing. We lit the torches and began to swing and he serenaded me with twinkle, twinkle little star. :) The last week Andrew has really been having a hard time catching his breath or he would just start deep and heavy breathing randomly. His hands and feet stayed blue, and his pretty pinkish (as we can get) little lips began staying purple and blue. Its been two years since any admittance to CHOA so all that began flooding back and the anxiety that comes with it. This time though, God has placed a team of loving church family and pastors and more friends to keep the anxiety at bay. I know how great and good our God is, but its hard to tell the human mind to remain focused on that fact. Thank you Lord for your love and grace and for continuously chasing after me when Im so far from perfect. The team here knows when we call for an urgent add-on visit that we mean business. We have always maintained well at home when episodes or illnesses start, but this time I just have had the unsettling feeling. I began monitoring him last week with his vitals and watched his heart slowly increase, and his oxygen steadily decrease. I began voicing to show (ok maybe getting a little more panicky)Shaun each time I noticed these spells, and Shaun normally tries to talk me out of my craziness, but this time he began really getting concerned too. No matter what we did, hydrate, keep warm, make him rest...he just wanted to keep staying blue/purple. I told my motherinlaw Tuesday as we walked out to her van that hes just been off and I called to get him in the next day, and well...here we are. In clinic in his urgent visit we got to see his old inpatient cardiologist Dr. Clabby. She knows us fairly well and can just picked up on our nervousness. She watched him cry the entire time in the appointment, through his echo, and when he finally wore himself out and fell asleep in my arms, she watched his color and picked up his little hand and said, he should have had his color back now. He still looks pretty dusky. I talked to Dr. Sallee, and he and I agree we need to get him admitted and a full work up and a heart cath done. There could be narrowing, some vessel clusters popping up on his lungs (decreased O2), or its just that time for surgery number 3. Shaun was visibly upset at this point and I just watched the anxiety flood his face. Andrew jostled in my arms from sleep and just said, "I hurt" at one point in the visit. His anxiety was HIGH. We were cleared for another three months! I can't really begin to say how blessed we are at times. Andrew has been hospital free for almost a whole year now! Anyone that's followed Andrew's page for long knows how many times we've had the unexpected ER trips, coupled with long hospital stays. It's great to tell those that ask how he's doing to say, "Well, he's doing well!" and "We've been out of the hospital almost a year!" The only obstacle we are facing right now is his eye palsy they just found at the eye specialist. The eye specialist has us patching daily for 2 hours, so that his brain will not stop using that left eye. With it being paralyzed, the brain can eventually "learn" to stop using that eye because it can't see out of it, and he could go blind in that eye. We are anxiously awaiting the results so we can get somewhere with what to do to correct this. We are hoping to get him in May 3rd for the MRI to see what's going on in his head and if it was caused by another stroke. they cancelled on us a month ago because he was sick. They wont put him under while he's sick. While they have him sedated for that, the cardiologist is going ahead and doing the chest MRI to get a good look at the anatomy of his heart (The Glenn, second surgery portion that was done) and see how it is doing. We have the Fontan, the third open heart surgery, looming over us as he gets further and further out. It's usually done between 2-4 years old. We are trying our best to get his weight up so he's big and strong for surgery. He's in bi-weekly physical therapy now and he's doing great. He's standing in the middle of the floor without assistance, but still hasn't worked up the nerve to walk or take any steps just yet. He's in weekly speech and feeding therapy. He makes small steps forward, and then small steps backwards with feeding. He does not like anyone or anything coming to his mouth. He is still batting spoons away and refusing to eat. It is harder since he's hooked up to the feed pump 22 hours a day. Who would want to eat if they're being fed 22 hours a day straight?! We'll get him there though! Big things for a Big boy! It's been a little bit since I've updated his blog. Andrew is doing awesome right now. We're heading into flu season, so I'm just crossing my fingers that he does well this year. He's officially over 20 pounds and staying that way. He hit about a week to10 days of a head cold and threw up a lot, so he didn't jump as much as I hoped, but he's maintaining. He recently switched to Neocate Junior formula (for toddlers) and he has actually started taking some of that milk by mouth! I sat with tears of joy rolling down my face. Today Andrew took half of his bottle! I'm so so happy that he's finally wanting to take some by mouth now. He just switched his physical therapist out and his new one came today. I have to admit, that she was awesome with him and she pegged every trouble area and even pointed out a few things I haven't really noticed before. I feel like we're heading in a great direction there. He's started pulling up to stand, but still needs support once he gets there. She notices that he's kind of favoring the right side a little bit. That's the side his stroke effected, so maybe that wont be an issue. Nothing terrible, he just likes to put his body weight to the left side. In the hematology world, his blood clot in his left leg is gone!! We are still using twice daily injections for blood thinners, but we hope to switch him to a pill soon with a little time and weight gain! On another note, Andrew and Courtney have become like best of friends. It's really too cute to watch. He loves when she plays and talks to him. He's currently got her laying at his feet while he twists his toes through her hair. They crack me up. We are down to 3 months between cardiology visits now! WOW!! It still feels so weird not to go weekly. My sweet boy has managed to stay out of the hospital since march, so I'm stoked he's finally heading in the right direction! Although we know we can't get too excited, because HLHS is an ugly monster sometimes. ;( We take each good day as it comes, and pray through the bad. I have not updated on here in quiet some time. I've had a lot of emotions running 90 since Andrew's last major hospital stay. Since Andrew came home from the biggest scare of our lives my life has forever changed. I will say that since my son was on death's door in January that God's been working on me in so any ways. You wouldn't believe the change that's coming from me since then. When we brought him home I felt true fear for weeks and still do at times. Sleeping next to a sweet baby that can change with the drop of a hat in less than 24 hours is terrifying. I have adjusted to very little sleep and to devoting every waking minute to my son's needs, and couldn't imagine my life any different now. I think what's so scary is that fear is always going to be in the back of my mind. I find myself questioning what his future would be like or if he will still be with me then. Only God knows and I hope we get many more years with him. Just a few weeks ago Andrew had gotten sick with a tummy virus again (that's what landed us in the hospital before he went on the transplant list) and we were terrified. I was up day and night checking vitals, maintaining fluids and praying like crazy. I maintained him for a day and ended up having to take him in. He started throwing up and got strangled to where he couldn't breathe. He started turning very blue and his sats just bottomed to 60 and we completely lost it. Shaun panicked and handed him to me and I began working as fast as I could to clear his airway. Every time he throws up I have to manually clear his airway for him or he can't breathe. He was fighting a very high temperature and his heart rate kept creeping higher and higher and I was afraid that we were going back down this same path again. Luckily our last hospitalization was only 3 days. I don't think the fear ever leaves. Good days or bad, it's always there lurking. We're lucky that Andrew has been having more good days then bad lately. We are constantly struggling with his weight gain and weight loss. I have a feeling that gtube surgery is in his very near future. We will do whatever we need to get him healthy and strong as can be, but I was hoping to keep him home for a little while before another procedure. We are still seeing cardiology weekly right now, hematology is to be seen every 3 months and blood draws monthly. He is supposed to start physical therapy and see them weekly while still going to routine pedatrician visits. Life is full of doctors and Andrew is beginning to show how much he dislikes them. :( He cries and screams every tie we're in any doctor's office now. Poor guy. Other than that he's doing pretty good at home. We're still working at meeting all his goals, but he's definitely getting stronger! Thank you all so much for your prayers! 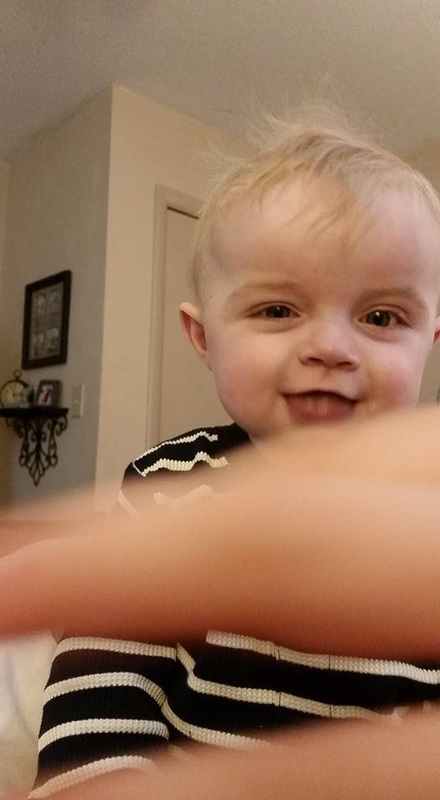 Well this is a blog I didn't think I would be writing at this point (and it's long, sorry), but Andrew is looking so much better now...because he is so much better now! Cardiology and the transplant coordinator wanted to stop by and talk to me today about Andrew's mystery echo he had 2 days ago that we couldn't get anyone to tell us about. They didn't have many answers for why it's dramatically changed now, but God had different plans for Andrew…That's the only explanation. Medically, there isn't one. They're stumped. It was so poor before that he said it was doing nothing on it's own, no squeezing, and had no room to get worse. He just smiled and said this is very good for Andrew because a transplant for him is very high risk at this time and we want to keep his own heart as long as we can, get him HOME, and get him stronger! Yes, HOME!! What seemed so distant before, is now possibly in the next few weeks!! 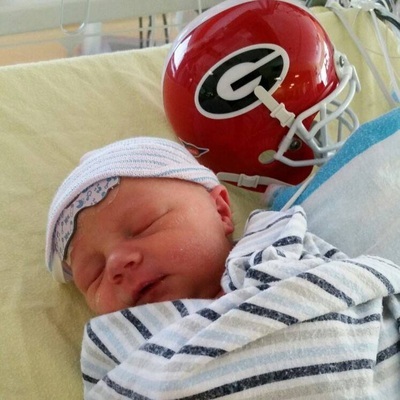 God is good, and only God could give our sweet Andrew this miracle! He is not being set off radar, just status changed on the transplant list and if needed he would go right back on to critical and right back where he was with the time he waited already. His guess today was the common cold and tummy virus really hit his heart and that's all he could come up with. They've not seen it where they bounce back so quickly like that often, if ever before. Today I have to report that he absolutely melted my heart and I probably had the biggest smile on my face but he was happily playing and smiling at me and his nurses. He was talking to us again and sticking out his tongue. My sweet Andrew was back, limb strength and all. 2 days later he had the new echo done....2 days after that here I sit writing that they can't figure out how his heart improved so quickly and so much....but I know that it's because we still serve a merciful and loving God. 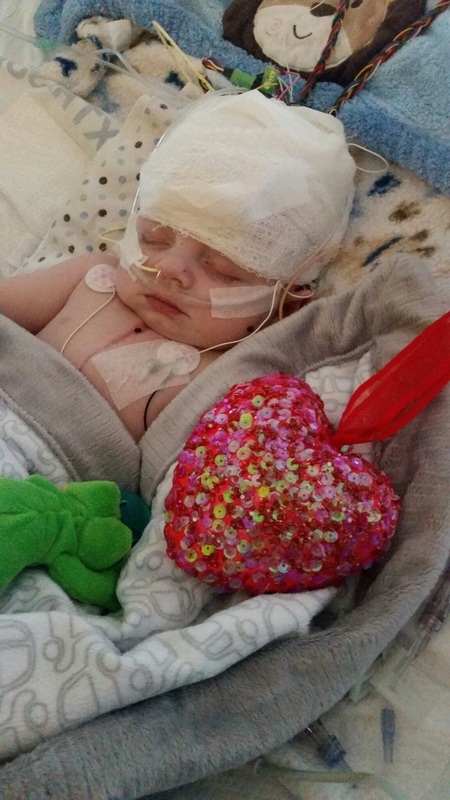 His heart is not healed 100%, but it is healed enough that it will buy him some time until transplant or his next major surgery. It is healed enough that we can possibly be going home under one roof again in a few weeks with all of our children and this nightmare be a thing of the past for a while. Andrew has been followed by Neurology in the CICU for several days now. He wore an EEG for 48 hours with no abnormal brainwaves. They gave him the all clear to move to stepdown yesterday. Once in his room he stayed fairly aggitated like he had been for a while now. The previous 3 days were a nightmare. he had been having episodes where he would stare off and apnea spells. he would hold his breath for a good 5-7 seconds then start irratic breathing after each episode. 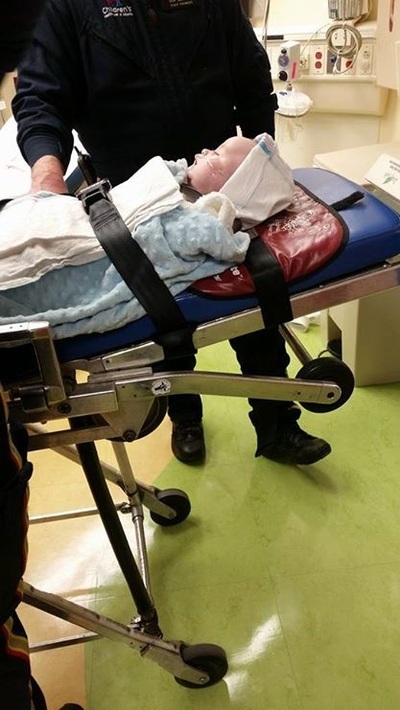 He was rushed to CICU and monitored closely and they weren't seeing any episodes. I went in and stood over him the next day and noticed the breathing spells again, but no stare this time. I brought it to their attention and all doctors laid eyes on him and saw it and called the neurologists in. Once they got in they could see the screen by his bedside and it wasn't showing any abnormal activity. They ruled out seizures and took him off the EEG and got him moved over after a swallow study. He was rushed down to CT and they took his second scan in the past few days and this time a small clot showed up in the left side of his brain. In morning rounds they dropped the dreaded word on me and it hit like a ton of bricks..."stroke". I'm thinking, hasn't he been through enough already?! Of course nothing an upset mind and momma could fix, so I have looked for positives in his day today. For instance, his face doesn't seem to be affected. He was slowly starting to make movements with his right arm, and I have never been more excited in my life to see my sweet baby's arm move. I literally cried! He will now see neurology, hematology, physical, occupational, and speech therapies, cardiology, and transplant team here. Whew! We will have PT and OT 5 days a week and hopefully get his right side stronger again. Just another set back, but he has proven at what a fighter he is! He was also officially listed on the transplant list (UNOS) yesterday, so the nerve racking count down is on. We have always had in the back of our minds that Andrew would need a transplant one day when he gets older...just no idea it would be so soon in his little life. In ways we were relieved because he only had a single ventricle and we knew it definitely wouldn't last forever...but once they sit down and start explaining all the risks and the rejection stage post transplant...it's a little scary. I let my mommy mode kick in and panicked of course, but I'm sure once all this fresh new information settles I will start to settle out again and God will always go before us as always. I know he has Andrew a match somewhere and the perfect one. We did find out he was AB blood type meaning he can accept almost any blood type from a heart. They have to get blood type, tissue type, location of child, amount of time child has waited, status of urgency, and size of child and a few other things will factor if it's a good heart and a good match for Andrew. Wait time is unknown. It could be days, weeks, months. 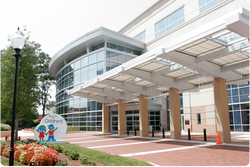 It has to be in a 1600 mile radius and 4 hour travel time window from CHOA. Once they get the call and Dr. Kanter evaluates and sees if he thinks it's a good match then he will have the surgical team (which he is a part of) fly out to wherever the heart is and remove it (fully disconnect it from the body) and bring it here, where Andrew will be prepped and waiting in the OR for transplant. He will go on tons of medications and anti-rejection meds immediately and will always have a very low and supressed immune system, so that his body will not try to reject the foreign organ. There are risks such as rejection, sudden death, death on the surgery table from the heart rejecting immediately (less than 2% chance that will happen), and risks and side effects from the medications he will be put on which can also damage the liver and kidneys. Another risk is developing a type of cancer from the lymphnodes sending huge amounts of antibodies out in the body that doesn't need those and obviously infections that could potentially be fatal because he will have such a low immune system. There are POSITIVES!! 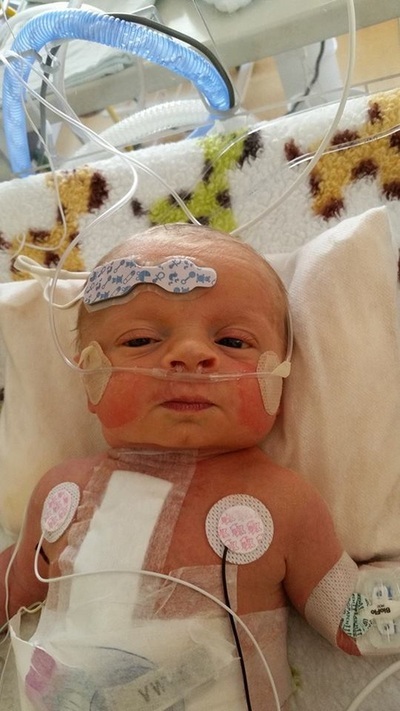 Unlike HLHS, Andrew will be able to experience for the first time in his life a fully healthy beating heart. He will feel good,he will have good oxygen levels at a normal 100%. He will also after his first year to five years have absolutely ZERO medical restrictions, so he can run, play, play sports, gym class etc. like any other normal child. He absolutely CANNOT miss a dose of his medications and he will be on those for the rest of his life. If he misses a dose of his anti-rejection medicines then his body could start attacking the new heart immediately. He could be on anywhere from 8-15 medications post transplant and up to the first year. Eventually he will get down to maybe 4 or less, but for life. 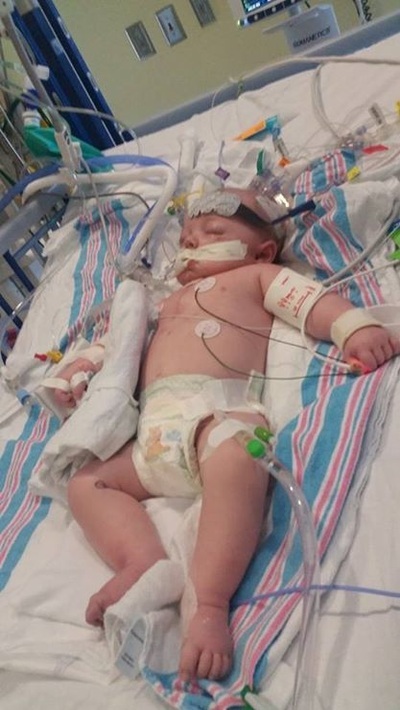 This WILL NOT be Andrew's only heart transplant, hence the serious need for donations as quickly as possible before his first transplant and that this is a for life medical condition. He will outlive the life of his heart by age 15-18 and require a new heart as long as the new heart stays on track and at their average expectancy. He will be in the hospital way more than he is now and constantly having blood draws, biopsies, heart cath etc. to make sure his medicine levels are therapeutic and not damaging any of his other organs, but also high enough to do their job of suppressing his immune system. 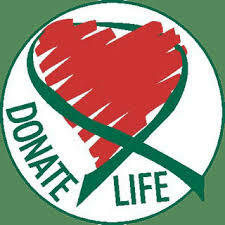 Donations- The transplant social worker informed us that this is a very expensive surgery(ies), and medications are ridiculously expensive, and life long. 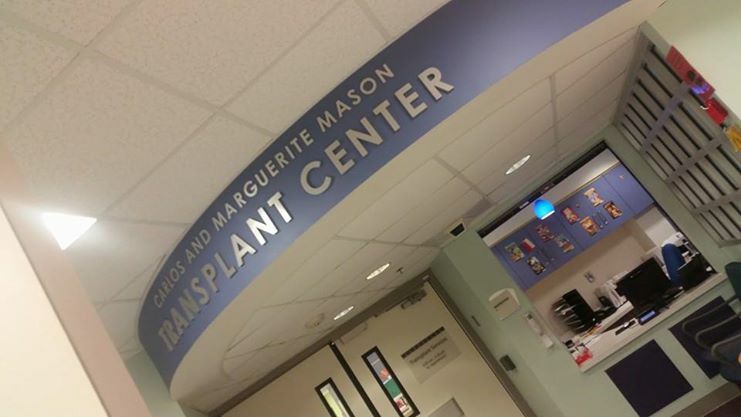 Issues with insurance changes and drops are high concern for the transplant team and being able to continue clinic visits, treatment and potential transplants in the future etc. For Andrew all of his visits will be held in Atlanta. We do not have the option of a Dalton clinic anymore, so traveling expenses are going to get outrageous. The bigger worry is when they turn 18 and are no longer on insurance like they were growing up. We are going to actively list him on a foundations site called COTA where the transplant social worker said to raise absolutely as much money as possible before his transplant, and those organizations to help cover all these daunting costs and they will match what we raise. As transplants etc. are very expensive and lifelong then no set amount is there. He said the more the better, but after transplant they will no longer match that amount. He offered suggestions such as fundraisers, reaching out to the newspapers and news, and starting something like we have with the youcaring fundraiser site. Since we don't have a time frame before transplant is received, we are trying to move as quickly as possible to make sure Andrew will be covered financially, we will be here in Atlanta for some time. There are several restrictions for Andrew, especially in the first year such as no pets, no dogs, no cats, no birds. Bird cages, litter boxes, dog wastes, etc. is something he cannot be around at all, nor sick animals. If anyone pets one of these animals they have to wash their hands before they touch him. He can't be out in public or crowded places. He will never be able to rake leaves, dig around in the garden, or cut grass etc. or have a bonfire, or any type of construction or remodeling cannot be done around him (also lifelong risks). All of these things can potentially house fungal infectious diseases and mold and bacterias and get into his lungs and kill him from his body's immune system being so low. We also have to avoid significant mosquito bites etc. *His bottle and food cannot be prepared in a place where I am preparing a dinner where raw meats and uncleaned veggies etc. have been. His labs and tests are being done now and we should have results back tomorrow for the transplant team evaluation and then they will regroup, discuss if this is best, get our consent and have him actively listed. After he is listed he will continue to receive care here until the match is found and transplant completed. 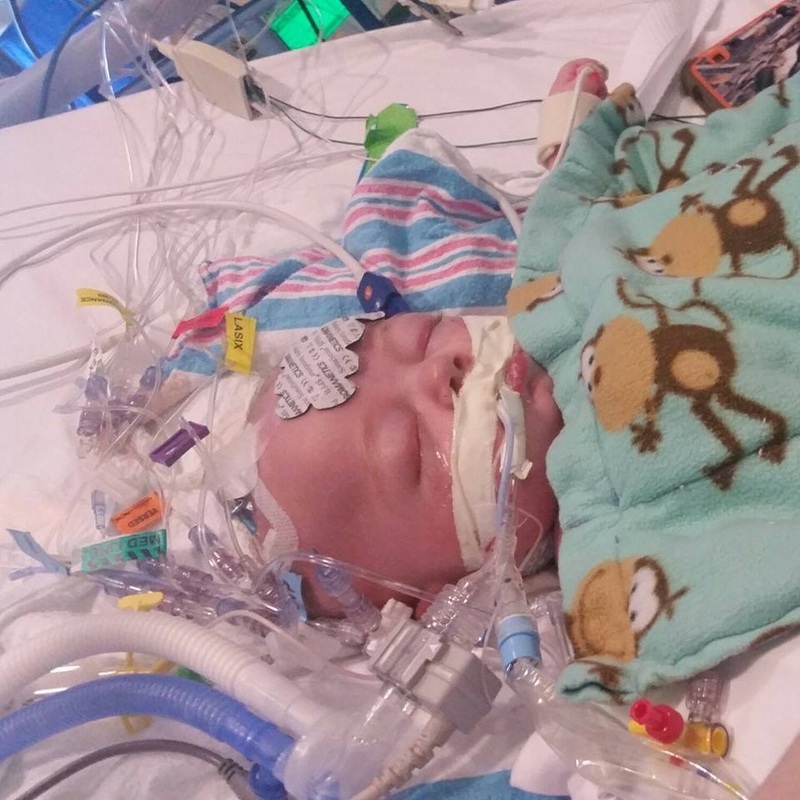 Getting him to the transplant is main concern as his heart could get worse and require added medications to function and if that doesn't work he will be placed on ECMO. 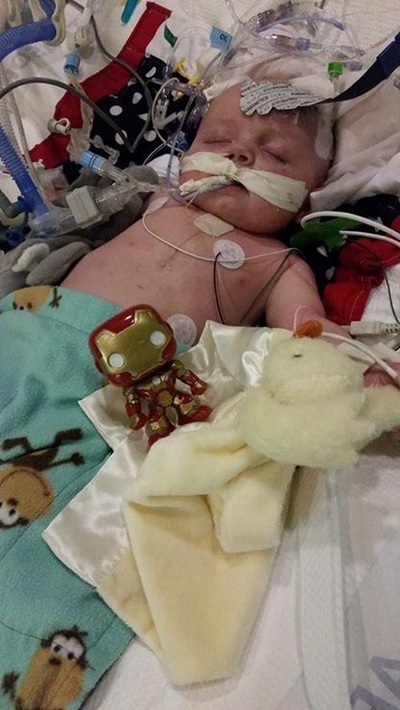 ECMO is life support that will pump his heart for him. 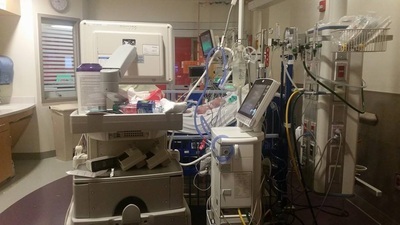 After long periods of time on ECMO, or even shorter durations there is chances of severe bleeding, stroke, and loss of limbs on this machine and death. There is an 18% chance that he wont make it to transplant, but we know God already has everything in order for our son's new heart. We are believing! We have not really had the chance to update since our last blog back in September. LOTS of hospitalizations and procedures and his second open heart surgery in there. Flu season has been rough on our little buddy. He's had two emergency caths for narrowing of the aorta and then a stint in his shunt that was narrowing and rhinovirus. We came back December 8, 2014 for his second open heart procedure, the Glenn. We were finally discharged December 20th and life flighted back here January 9th. This hospital stay has changed our lives completely because what we thought was just the common tummy bug brought us into where we are. God's blessing in disguise. January 8th, at our daughters 6th birthday party we saw that Andrew has started throwing up a lot more and started running a fever (101.2) Of course we called Sibley Heart Center and notified of more than two vomiting episodes and fever over 100.5. Since our youngest had a tummy bug they thought there was no need to come in and to call and update the next day, or go in to the pediatrician if it got worse. The next morning I woke up to Andrew crying constantly, modeled and labored breathing, and grey all over. His heart rate was 199+ and he was losing more fluids then I could keep in him. I ran him on enfalyte all night versus formula and held his lasix due to fluid loss. Little did I know this really maintained his little body enough to barely get him med flighted in and to CHOA. Shortly after arriving his body started shutting down on him because his heart was giving out. He was in severe heart failure and his kidney and liver was starting to shut down on him. He was intubated because he couldn't maintain oxygen levels and we waited several hours with a grim outlook that night upon arrival. Our little buddy pulled through and is now "stable" but has a very sick heart. There was so much damage to his heart that he is being evaluated and actively listed for transplant once the transplant team regroups in the next day or two. They told us his echo looked very bad from before and that there wasn't much room for his heart to get much worse. It was very enlarged and the muscle and tissues had grown to be really weak. His heart defect was the culprit. Him getting so sick was God getting our son here for doctors to realize his heart was giving out. 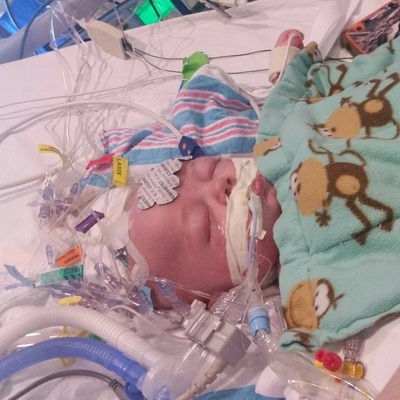 After running many tests they also found out he had rhinovirus, e Coli in his lungs, he was septic, and severely dehydrated with no reserves left. God performed a miracle and left Andrew here with us to tell his story and show that God still hears our prayers. He is almost over the illnesses we came in with almost a week ago. They said his lungs actually looked really really good in his x-ray this morning. We are going into our third week home from the hospital and I have to say I was starting to feel a little better about Andrew's situation and then his cardiologist appointment last week one of his cardiologist said that Andrew's aorta is starting to narrow. It's natural scarring from the surgery and something they look for, but enough that his cardiologist said it was a little worrisome for her, so she wants to check it every week via ultrasound now. It's narrowed more since his surgery and since we left the hospital. They would have to move his heart cath sooner and go in and balloon that back open if it continues to narrow. I can't really put into words the amount of responsibility, stress, and worry that was thrown on my shoulders (and my husbands!) when we found out we were having a heart baby. I love Andrew more than anything in this world and would never change him for anything (unless I could completely take this nasty CHD away, I would!) I wont lie, it terrifies me sometimes that I am the one responsible to keep him thriving every day... aka alive. He gets his medications twice a day, feeds every three hours, and anytime he throws up and gets strangled and all that other stuff it's me every one runs to make sure he's okay. Which God knew I could do it and that's why we were blessed with this miracle baby! :) I know I can do it because I'm doing it, it's just a lot of work some days! It's hard enough with a regular newborn, but throwing in the...does he look blue today? Is he pinking up enough after his bath or crying spells? THEN the oh no he's crying, I've got to get him calmed down asap so he doesn't turn blue/purple too long or get too worked up. :( Does he feel warm or running a fever? Has he thrown up twice today? Is he breathing too hard or show labored breathing signs? Do I have his NG tube placement right or has it floated around to his lungs? (Man, I really dont want fluid to build up around his lungs again!) Man, he threw up after his meds, I hope his aspirin stayed in his system to keep the shunt clot free. Oh no he's gagging again is it reflux or is he about to get strangled and possibly aspirate his feeds? And WAITING for that one poop a day like it's Christmas because he was up crying all night long trying to push and grunting and he literally just wears himself out and falls asleep trying to go, shortly wakened to try again. With all of that I'm up every 2 hours (no matter what I'm doing) around the clock 24/7 tending to Andrew's needs and way to often in between. He definitely keeps me on my toes. Of course I may be over paranoid, but one mess up on my part and he can be heading into trouble fast. :( Every day I wake up I'm super ecstatic that we're one day closer to his next surgery. After that one I know we will be no where near out of the woods yet, but the "set up" (as his surgeon calls it) will be more stable and out of this critical setup we're in now. Hence why they wait so long between the second and third surgery, because it's a lot better setup on their little bodies and blood flow/circulation etc. On another note...My son is only going on 7 weeks old this next Monday and has been hospitalized for the majority of his life so far, an ER visit, 2 ambulance rides and a med flight, and then open heart surgery at only 3 days old...3 days old! That's when they are normally cutting you loose to go home and enjoy your newborn at home and relax and have a big welcome home with family. Most of you carry around a diaper bag and car seat with your babies, I'm carrying his diaper bag, car seat, feeding pump equipment, medications, and a cardiac handbook/ paperwork from most recent visits, and bag packed in case he for some reason has an emergency. So yeah, life has been an adjustment and we're still "learning". I am now a heart mom, we are a heart family...this is our new "normal". We just have to find our groove. Now I will say this, because no one gives my husband enough credit that he actually deserves sometimes (including me!) He is stepping into a management position of a company with over 150 employees literally as soon as we got to come home, and has to "fix" ALL the screwups from the previous manager, he's going to school, and when he gets home he still makes time for the kids and me and makes sure to help with Andrew plenty. He even gives me a night out of the weekend where he takes over the night shift with Andrew to let me catch up on some sleep. On top of all of this we are stepping into the home buying process as of this past week. (Ahh!) I know he's uber stressed and busy lately, but I am still so very proud of him! We kind of got thrown into all of this and he's carrying us right on through it all. We couldn't do this without you babe! First of all, sorry for the millions of updates on Baby Andrew...all we have is time on our hands and pacing the hospital floors. :) Today has been a really quiet day for me. This past week has happened so fast that I could hardly blink. It really is hard to believe we've been here over a week now. The day I went in to have Andrew I was scared to death because research isn't always that nice on the outcome for little ones with HLHS. We didn't know what to expect, but all I could ask God for was to let my little boy come into this world crying. 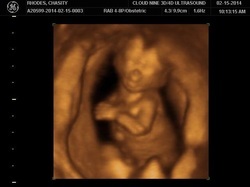 As long as we could hear his little voice we would know he's breathing on the outside. When they laid him on my chest it was one of the most humbling things I've ever felt in my life. This was my fourth child, but he just felt different. Not to mention I had a great coach this time around. I don't think I could have made it through this one without him. God chose me to be this sweet special little boy's mother. God knew what we had ahead of us and what concerns and worries there would be and he was already there making a plan for those obstacles. It was probably the hardest few days of my life knowing my son was in a different hospital from me with such a life threatening heart defect. I can't even begin to say how stressed that had me. With all the issues I had during and after delivery they pretty much had me on lockdown at Grady and was even iffy about letting me go the day before his surgery but God sent the right nurse in at exactly the time I began to feel distress and severe worry about getting to hold my little boy one last time before the surgeon had him in his hands. I was bawling my eyes out and by myself when she made her rounds to give me my medications. She dropped everything she was doing and wrapped her arms around me and told me everything was going to be alright, that God "had this" and she would get me out of there today. (Which she stuck to her word and had to get the clear from my doctor and then the cardiologist). Another neat thing, somehow Andrew's umbilical cord was cut way too short and they couldn't run the usual lines through his belly button for his meds they gave him that was keeping him alive (aka momma was able to hold him one last time before his surgery like I prayed so hard for). The day we handed him over to the surgeon I sat and prayed that God would be with the entire team and guide the surgeons hands and that God would watch over my little boy. I also prayed that God would calm our hearts and be with us as we waited because that was probably the hardest thing Shaun and I and I'm sure the rest of the family has ever had to sit through. I have to say we were blessed to have family come up that day and sit with us and they lightened the mood so much. Come time for phone calls with updates from the nurse in surgery we all got a little antsy, but I just reassured myself that God ultimately was with my son at all times. There were times I would feel like I was going to burst into tears but God would calm my heart in only a way I knew He could, reminding me that everything was going to be okay. I haven't updated here in a while. Life has been upside down and so emotionally and physically exhausting since Andrews birth that I've not had a chance to update his blog yet. 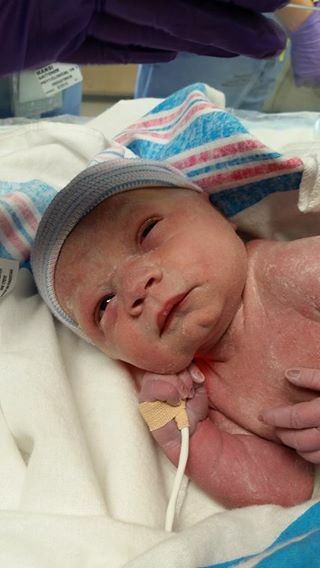 the day he was born was probably the craziest day of my life. My epidural not working and having ZERO pain meds didn't help either, but seems so petty to me now seeing what my little guys going through now. it is so heart breaking seeing him like this and knowing all I can do is sit by his bedside and let him hold my finger and whisper for God to heal him quickly and to take his pain. As a mother we are supposed to be able to fix any boo boos with a kiss and a smile and "all better"...That's one of the hardest parts of this for me. We came in this mornjng, his swelling was down and they said they completely stopped one of his meds (dopamine) and I was happy because that's progress, but shortly after arriving and seeing he was awake awake and responding to everything my mood quickly changed. I started asking Shaun if he was supposed to be this alert and of course we expressed our concerns right away with his nurse and she said oh nooooo. He's too awake. So she gave him a round of medicine and he just sat wide eyed looking into my eyes and squeezing my finger for the longest until he finally started drifting back to sleep. when he's squirmy and red faced we knew he was hurting. :( This killed me today. So I stayed out the rest of the day (I'm already weepy anyway) and let him rest. Shaun said he was good this evening and sleeping away, so that made me feel better. Then the girls came out to visit us while Nonny and Poppy visited brother. It was so good seeing them after a week. Again I've been a crybaby and have missed them so much. That's been one of the hardest parts to all of this other than the obvious is having to leave them behind and not able to answer "When are you coming back?" Hugs goodbye at the end of the day are even harder but I am very thankful I got to spend what time I did with them today. We took pictures and played in the butterfly garden and bought them slurpees and brought them back to the Ronald McDonald house to play. Made life feel "normal" again for a little bit. I can't wait to get back home with all my babies under one roof. I've missed them. Not being able to be with Andrew or my girls this past week has KILLED me. I'm sitting idle and that's something any mommy, of now 4, never does. Not to mention the hospital food is way to expensive and tastes horrible! haha I miss cooking! :) I can't wait until home is in view, but for now Andrew needs time to heal and we have all the time he needs. It feels so weird to have waited so long for something to happen and then finally get to it being only a few days away. I mean things got "real" as soon as I walked out of my very last appointment yesterday. The lady that made copies of my records walked in and said I heard somebody's having a baby! Shaun and I got really quite and I just looked at him then followed with a smile and I'm sure a confused look. Shaun then proceeded to joke about we're having a baby?! (Like he had no idea ha!) I got home and emailed my high risk OB down at Grady and let her know the super awesome news about how much he had grown and she was so ecstatic about his size now. Sibley and the surgeons wanted him as big as possible (39-40 weeks) but he just wasn't having it since he's tried escaping since 37 weeks. He's measuring at 39 weeks size though so overall God is working out all the little things to make things work for him best. I seriously couldn't believe he jumped almost 2 whole pounds in two weeks! Normally people complain about bigger babies, but I can endure a bigger baby if it means he's going to be healthier through surgery. He's going to be our little fighter! As for now plans are to go in by 6 pm THIS (yeah that made things real haha) Sunday and meet with the anesthesiologist and the NICU and then get me all tucked in and based off the cervical exam my induction will be started between midnight and 4 AM in hopes for a late morning early evening delivery Monday morning. There were two doctors mentioned that will be taking care of me. Sibley will be notified I'm there so that they can get over and get Andrews lines in through his belly and medicine started to keep his holes open in his heart that they need to stay open and then all the other teams that will be there for delivery. So just waiting (sleepless at 3-4 AM now lol) but waiting for Sunday. Well I'm going to attempt to get some sleep this weekend. The past two days have been a lay awake all night/morning kind of thing for me. Hopefully sleep will come for me soon. Thank you all so much for the love and support for Team Andrew! We couldn't do it without you guys! Something else I'm completely ecstatic about (given the circumstances) is daddy isn't being short notice deployed this pregnancy a week before I deliver like my third pregnancy, or deployed already like he was my second pregnancy, yay!! I forgot how nervous he gets come close to time for baby. Poor thing jumps in the middle of the night and asks if I'm okay every time I sit up or get up to take a potty break haha! We wont talk about how he drove like mad to the hospital when I went into labor with Maddie and the back hatch on our old jeep flew open going down the road...hahahaha Gotta love him though! ;) Im just ready to get this new chapter in our lives started and glad he's able to share this one with me. It was pretty hard the last two deliveries (although I had some awesome ladies step up and be there by my side throughout delivery when Shaun couldn't be there) when all you want is your spouse because that's your go-to comforter and safe place. I have him now and I can't be more thankful for that. 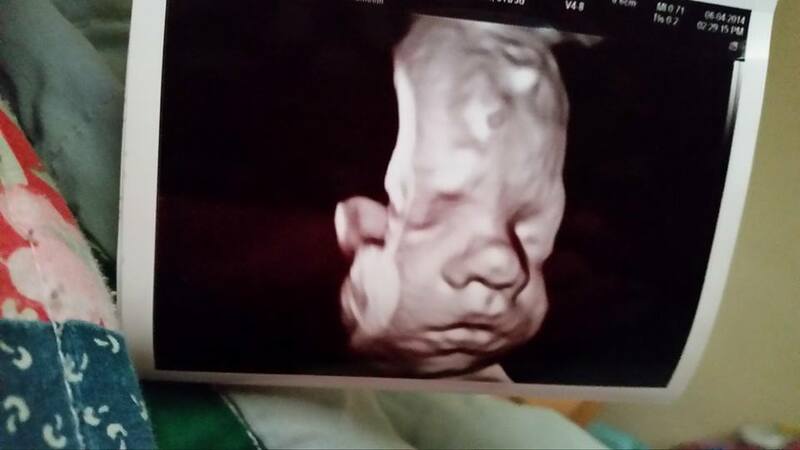 Well today is literally the last day of June which means my little boy will be here in three weeks. I have researched and researched, followed heart families...watched heart families get stronger, or some lose their sweet heart babies. My emotions are all over the place. My husband and I have been a little more on edge and quick to snap...but I'm sure we're not the only heart parents who have experienced all these emotions towards the end. I know God has perfect timing and will hopefully let everything fall into place for our family, but this past month has been hard for us. I lay awake at night trying to mentally prepare myself for what's to come, but to be honest I don't think I can really prepare for what we're fixing to have to go through. 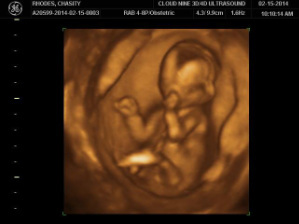 No one should ever have to see a sweet new baby suffer and fighting to live as soon as it gets here...little alone having to watch my child go through this... So much is in the air (and only God knows the ultimate outcome) and I think that's what's so scary to me. I know God has given us Andrew for a reason...and I'm glad he's going to Shaun and I. We have and will always do any and everything for our children. There are times where we both feel like we've let them down, but we always make it through hard times even stronger. I have experienced a lot of "unwanted" emotions that I can't really help or explain. You wonder why some other people get healthy babies and you dont...especially when you do everything right during pregnancy. Then there are days when I wake up and I'm just ready to get this heart journey started and this long wait over with...then you actually get down to the Children's heart center in Atlanta and I fight tears the entire time I'm in that place. Your mind tells yourself it's ready and when you get there your heart goes in so many different directions and doesn't really know how to process all the emotions you're feeling. No one will truly experience and understand what Shaun and I are feeling (unless they've gone through the same thing themselves). As a parent you are put here on this earth to protect and take care of your children in any and every way possible. This one's out of our hands and in the hands of doctors (which we are lucky he's going to be at a good hospital!). Most helpless feeling you will ever have to experience as a parent. So...I just wanted to get a little off my chest. I know I haven't really been updating as much...just lots of stress on our end lately. Andrews appointments last week went well. Right now we're just waiting. 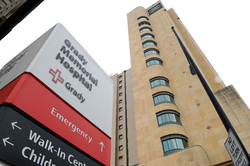 The doctor down at Grady is wanting to take him July 20th-21st last we asked/heard. So waiting on the for sure set date and getting through these next few weeks. I'll update when things are set in stone.Prayers for our little boy please. He's so happy and active right now. I just pray he keeps this up as he goes into his first open heart surgery in a few weeks. I know I've been a little "quiet" lately on all of our pages for Andrew. I've kind of gone into my own little world and hiding away from reality I guess. With each week it gets closer and closer and the stresses continue to grow for us. I think every single test you can have done has come back with something "out of the ordinary" or needs redone. I have literally just felt like a lab rat he past few months. I have had to do more blood tests then I think I have with all my pregnancies combined, been hospitalized for dehydration and other things for a night, genetics test came back non reportable, had to do the 24 hour urine test for preeclampsia, and just went Monday for an echo on my heart. They spent over an hour looking at my heart this time which was a lot longer than last time. So I'm hoping at tomorrow's specialist visit I will have gotten all my results back from all these tests and not get any kind of bad news. We have been going to 2-3 doctors a week the past month it feels like and have started having to see our specialist weekly now since I'll be 33 weeks this week. I seriously can't believe it's already mid June. Andrew will be here in 5-6 weeks...I hope that life will calm down just long enough to enjoy time with our girls before we have to leave them when we go into the hospital with Andrew. Something that I tend to do a lot is lay awake and think...ALL the time lately. 3-4 months ago I sat thinking...why me?! Why my little boy?! 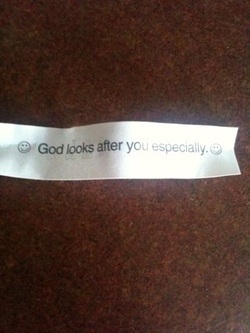 But...I began to think about the heart God gave me for those with special needs or the "sick". When I was in elementary and middle school I would go down and help in the special education room and talk to and interact with all of these children that were wheelchair bound or had special needs in all various ways. I grew up with best friends with special needs and always felt like their "protector" and friend of normalcy that didn't see them as someone with a special need. I used to sit down and read to my blind friends in the library or work with them on their braille, guided them down the hallways, or helped load the children in wheelchairs on their buses after school. When my pawpaw was alive we (my sister and I) were called his "little nurses". We would run to the door every day after he would get home from work (cutting trees down etc) and have a big tall glass of ice water and the first aid kid. He had diabetes and other things too so I always helped prepare his medicines and cut his prescriptions/pills in half and place them in each day for him to take. Then a few years down the road he got very sick with cancer and I was helping take care of him everyday with whatever he needed, helping with making his various medicines, and by his side throughout the day while my step-grandmother went to work. I've even been known to stop and help injured animals or stranded animals before too...so I think God has given me a task ahead that He knows I can handle and that He built me for...it's just taken some time to come to terms with my son's diagnosis. No one wants to see their baby go through what these sweet tough little babies have to go through. I think out of everything and all the feelings I've felt I'm most upset about what I'm going to have to watch our son fight through and know that there's nothing I can do to ease his pain or make him better. Everyone knows a mother's natural instinct is to pick up their hurting child and kiss away "boo boos" and rock and love on their baby until they feel better...I just pray that God gives me the strength to be that strong part of Andrew's recovery and surgeries. I have learned to be strong in everything I face and try to be the strength in bad situations and not let on to too much "emotions" from my part, but with Andrew I can't say that I can stand there and not get upset and cry when I see him after surgery or when I turn him over to the hands of doctors after he's born. That's going to be really hard for me. On a good note, my husband's work is really been a huge blessing with all of this and Andrew's situation. It has been a huge stress worrying if he was going to get his paid time and vacation days and well...all things worked out in our favor and has helped relieve a little of the financial worries. We have a bunch of other stressful things going on right now outside of medical stuff that we can use some silent prayer requests on. The good Lord knows our needs and I know everything will fall into place in His timing...Better go for now, specialist tomorrow and hoping to find good results from all my testing and that mommy's heart is doing okay too! Please keep the prayers for baby Andrew coming he will be here before we know it! We started out the day with another fetal echo and checking to make sure there were no changes to Andrew's heart and kind of confirming his diagnosis since the heart has gotten bigger. He still is in the same situation, same diagnosis...but the coarctation part (narrowing of the big artery that pumps blood out was not there this time. It was fine and no narrowing! So one less thing to worry over and one less thing in surgery to have to go in and fix (aside from the normal procedure)! We talked with a cardiologist we weren't supposed to see today and she was too negative for my taste. She immediately started spouting high mortality rates with HLHS and that even if they have surgery and transplants it's not a permanent fix. She then went immediately into comfort care and went on and on about it and they offer you people and services of those that can talk to you that's been through it... (Comfort Care is just sending your baby home to slowly die on his own without fixing anything). 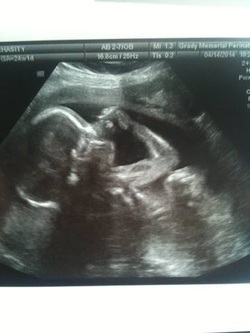 Some people choose this option and it is in no place for me to say anything about that, but my son is coming into this world with a fighting chance and mommy and daddy are going to do any and everything we can to fight right along with him. So we pretty much shut down on her after that. I don't need someone telling me he has the worst CHD there is and all that mess. I'm aware of how serious it is, but I am also aware of how successful surgeries are. During the Sibley Heart Center Tour we were taken to the floor where he would be until he went home in his own private room. He will have his own crib and there is a couch that turns into a bed and it has a shower in the room. This is where Shaun and I would be able to stay with him at all times and sleep if we want. In the CICU that I mentioned first no one under 12 (including sisters) will be able to come see him. :( Also no one that is sick or even has a runny nose. Heart babies can get sick VERY easily. Also only 2 visitors at a time in the CICU. We will not be able to stay with him there (sleeping etc) but it is 24/7 access for mom and dad to come in and check on him there. They have a few times that everyone has to clear out (during rounds for confidentiality reasons since the room is one huge open room, but they will come get us when the surgeon or cardiologist come to Andrew and we will get to be a part of that). The expected stay is 7-10 days here (CICU) and then 2-3 weeks in the private room. Of course it will vary for each baby/case. When he moves to his own room they will be doing constant teaching in there (for Shaun and I) and we will go through a discharge class and be sent home with any and everything we need to know to care for Andrew. The nurse that gave us the tour today said that feeding and getting the right amount of calories and weight gain is the key issue after surgery and before released from the hospital. She also said heart babies have really bad reflux most times. She did say they will have everything we need there for him and we can opt to bring his own things and clothes if we like for a homey feeling. She also said pictures and things can be hung in his room and on the walls in the CICU or the windows of his little bed rather. So we are going to get busy doing some projects for brother since the girls wont be able to see him for the first few weeks once he's in the CICU. The surgeon was changed today on us, but he has been assigned, so he is the one doing Andrew's procedures. His name is Dr. Kogon. He said getting him through the first surgery is the vigorous part because it's the biggest surgery, but after the first surgery his survival rate goes to 87%. He said they like to say high 90's because that's what they experience there, but they like to say 87 instead. He said after his first surgery he's still going to be in a very fragile stage. 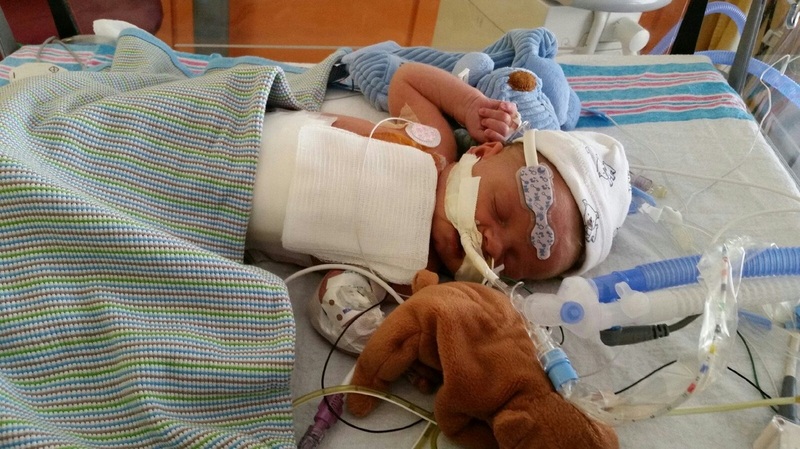 The second procedure is expected around 6 months and the third open heart surgery is around 3 years of age. After the first procedure the concerns could be complications from surgery (the shunt put in giving or something clogging, or since the right side does all the work for both sides of the heart since the left side isn't working or there that the right side after surgery could pump too little or too much to the lungs or to the body. They keep a close eye on them though and so will we and we will be well educated on what to look for at home. Life is starting to become pretty scary and emotional for us both right now (Shaun and me). Classes have stopped for me, we go to tour the Sibley Heart center in two weeks, the kids are out of school for the summer soon (which I've dreaded summer because that's when Andrew will make his arrival), and the third trimester is setting in. 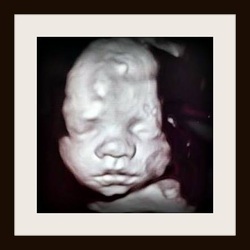 My 4D ultrasound is in 2 weeks...that means I am quickly nearing my 30 week point. It seems like this pregnancy has been a blur because we literally have been bouncing between tons of different doctors, doctor's offices, and all kinds of tests and ultrasounds. It seems to be speeding this up because we are seen so frequently. On the plus side though...Shaun will be by my side though this labor and delivery. This might be a scary delivery for me (and him too I'm sure), but when he's with me there's just this comfort and peace he gives me that I can't get from anybody else. Just like when I've had a horrible day or my emotions are running on high (which they've been doing a lot lately) he can come home and wrap his arms around me and I completely forget about everything around me and that's going on. We drove by CHOA a few weeks ago when we were in Atlanta to see where we would be spending the following weeks after Andrew's arrival and it felt so weird. Hard to explain, but I NEVER thought I would have to face this kind of thing one day. I had no idea that 10 years ago when I looked into Shaun's big beautiful blue eyes and his sweet ear to ear grin that we would come to face this with one of our children one day. Everyone dreams of having "the perfect life" when they get married and have children...but hey this is the life God has chosen for us and through every single hard time we've gone through...it's kind of been preparing me for this upcoming moment of my life. We lose people that are so close to us and don't quite understand why, Shaun's missed the last two births of our children (which I thought that was the hardest thing I'd face at the time) and we've had more than our share of bad luck...but some how God still gives us hope and plenty of reason to smile each and every day. God gives me a smile every time Kaitlin kisses her brother (my belly) every single day (morning and anytime she has to tell me goodbye), when Maddie hugs me and spends time saying her special goodbyes and pats to her baby brother before she leaves for school, when my husband's Iron man alarm goes off at 3:30 in the morning and you can't help but just smile no matter what time it is :), when Andrew rolls and kicks and lets his mommy know he's no different than any of my other pregnancies...he's still growing, he still has a strong heart beat, his constant kicking and pushing are just little reminders that God made Andrew for a reason. He has a purpose in life and it's not fair for any of us to take that from him before he gets here. He's just going to have a little bit rougher of a start, but he's going to be a fighter and he's going to make his mark on this world one day! All of these sweet little babies that get here with CHD's are fighters. Every last one of them. I know my son will touch the lives of all those around him. 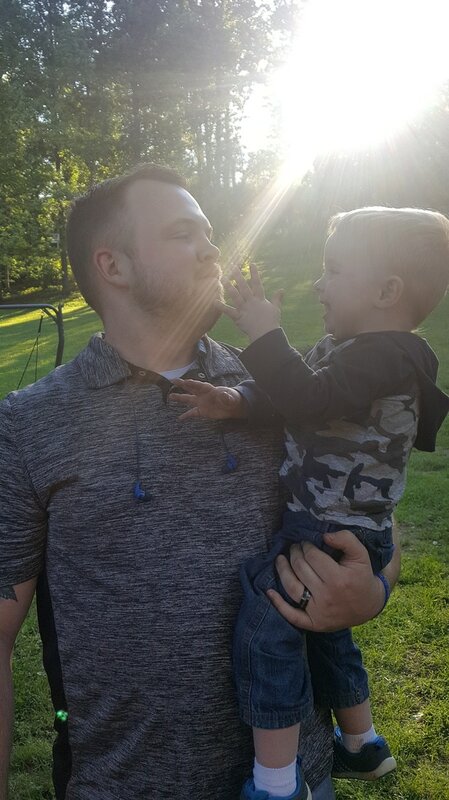 I know that I will cherish every last second I have with him, the times I get to hold him (when we are able) and all those little things we take for granted with our children...they are going to mean that much more to me. I can't wait to be thrown up on and to spend endless hours of each night watching over him, making sure all of his machines and stats are right...because that's what any loving and caring mom would do for their child. We're there when they need us, no matter what I have to sacrifice...he will know that mommy and daddy are there to fight right along with him with every last ounce in us. My son is coming into this world a fighter, bigger than any MMA fighter out there! :) I am going to stand behind Andrew 150% because that's what my job is to do in life. I am researching, I am watching every video or movie I can get my hands on, and I'm "fighting" to get HLHS awareness out there. Right now that's all I can do, but as soon as he gets here then it's "ding ding" mommy's going into beast mode! haha! As medicine and technology advances outcomes are getting better and better and we were surprised to find more positivity from the actual doctors themselves then all the garbage we've been reading on the internet. Most of it is outdated and just plain negative. It's enough to put anyone in a downward tail spin! So I'm pushing through with the now and Andrew's case. They are all different. If I could have one request is for those of you to pray for our sweet Andrew, pray for all the sweet babies who are fighting or soon to begin their fight in this world, and also pray for those families that have lost their little babies to HLHS and CHD's. This is a very serious diagnosis with so many different outcomes and issues that stem from it, so any and every prayer (big or small) is greatly appreciated. ﻿And Jesus said unto them, Because of your unbelief: for verily I say unto you, If ye have faith as a grain of mustard seed, ye shall say unto this mountain, Remove hence to yonder place; and it shall remove; and nothing shall be impossible unto you. As for my regular OB (Dr. Anderson) he said everything looks good as can be. My BP wasn't high this time and all my bloodwork for them looked good and came back in the clear that I had done last time. He had just gotten caught up in the loop with my paperwork from the specialist and Grady and felt so bad about our situation. He said when my paperwork came in and across his desk that a movie had come to mind and he had thought of us. He took me to his office and spent a good 10 minutes trying to find this movie that was on Netflix for Shaun and I to watch that we could relate to. "Something that God made". We see him in 3 weeks again too. TONS of appointments! PS Sugar test is next visit....Yuck! I know that everyone has been waiting on our update after today. So much to really take in and process... We saw 5 different doctors in our visit today. Lots of questions did get answered though, so that made me feel a little better. Little Andrew’s heart is in fact HLHS (which we knew it was) and they gave us the specifics of his diagnosis. 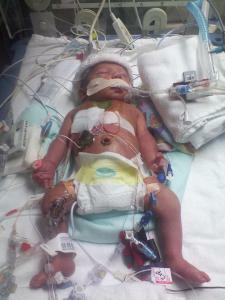 He has mitral atresia, aortic atresia, and coarctation. The left side is very small and the mitral and aortic valve in the left side of the heart never even formed, they’re not there. That side is not able to really do anything. The coarctation is where the aorta valve that sends out blood to the body is also narrow in one part and it has to be fixed as well. They have three sizes as far as severity goes when it comes to enlargement on the right side because of the HLHS, and his is moderate. The cardiologist said it wasn’t the most severe (large) but it wasn’t the best (small), he’s in the middle and that’s to be expected with this diagnosis. 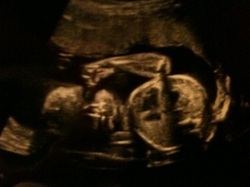 I will be seeing little Andrew sooner than I planned or thought on. They are inducing me at 38 (Around July 21st) weeks or sooner if the following appointments bring up any concerns with Andrew. As soon as he gets here they will stabilize him (have a hospital room full of doctors) and then let us see him real quick before he heads up to NICU. I’m not sure if this means if I can hold him or not, but I will take it either way. He will be stabilized and waiting for up to a week before his first surgery but will have a tube through his belly button (it’s already open from the umbilical cord) and will push medicines through there to keep the two holes present in the womb open (this is what keeps his blood flow actually flowing through the body, and also be a drain point if needed I believe they said. They will run tests, ultrasounds and whatever he needs as he’s being assessed once he gets here (ventilators if he needs help breathing etc.) feeding tube for sure. 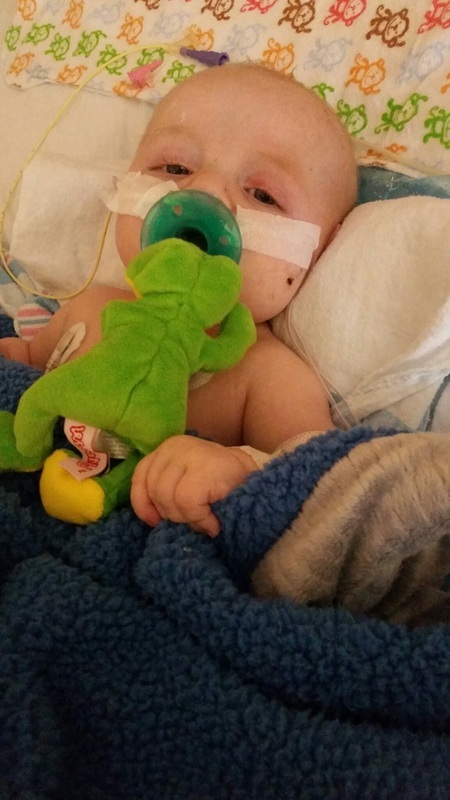 He will also come home with a feeding tube through his nose for a while after released from the hospital. There are some cases where these babies are born there (Grady) and then rushed by ambulance after stabilized to Emory to b worked on ASAP. So it’s really a wait and see game on how severe his case is after he gets here. The cardiologist did tell us that once he has the surgery that after he’s going to get and be pretty ill. He said it is a very serious surgery and lots of "things" the cases and each HLHS baby are different, but to be done. His little body is going to be pretty rough looking after surgery, but should heal over time pretty good. He said he didn't like giving percentage rates because they vary with the severity of each case. 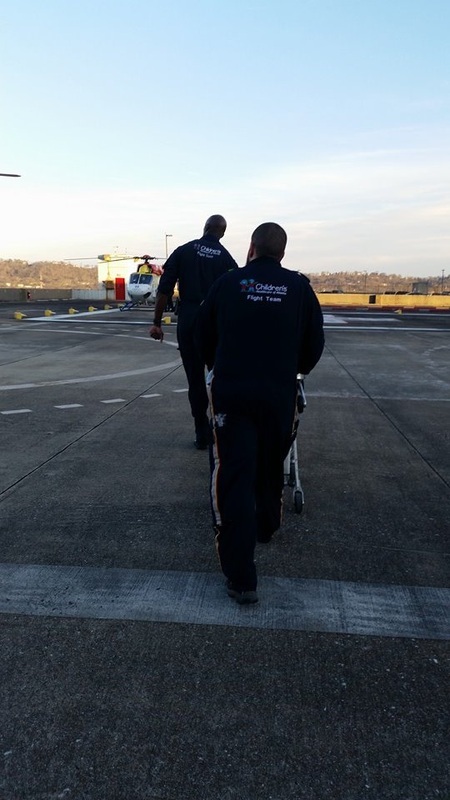 BUT the average success/survival rate is about 90% since they are such a good hospital/team. The goal after surgery is to keep infections away, make sure there are no complications from the surgery, and that he is able to get weight put on after surgery. Weight gain is the thing with HLHS babies and the length of time and size between procedures. He said Andrew’s stay should be expected to be a month. Longer if need be, but that’s what his situation is looking like now. After he’s released to go home and looking better he will see a cardiologist every week until the series of surgeries are done. On the other hand we got one of the best doctors to work on him at Emory and Emory is rated #4 in the whole country when it comes to pediatric cardiology surgery. So that was good news to me and peace of mind. I had already looked at and hoped for this doctor from the beginning. If I go into labor early I will be assessed and if it will be enough time to fly me out by helicopter then that’s what they’re doing to get me to Grady/Emory ASAP. If I have him they will stabilize him and then get us flown out there. We go back in a month and meet everyone else, tour both hospitals, and get all info on the logistics of everything. We meet the surgeon and the surgical team and any other doctors that we didn’t get to meet today. They are going to do an Echocardiogram on my heart and make sure my heart can take the delivery stress since my hr is staying high and my blood pressure was high last time. If not, then they will take him by c-section more than likely…so lots to take in, but we are finally getting a plan together. Life will never be the same after this point for our family. Pediatric Cardiologist and echocardiogram coming up Monday! Well I got the call from the specialist's office today and the coordinator has successfully gotten my referral down to Grady for Baby Andrew's echocardiogram and pediatric cardiologist visit about scheduled. I'm just waiting on the coordinator from Grady to call me back with the exact time Monday. Here starts our first of MANY trips down to Atlanta in the next several months/years. This is the appointment where the prenatal cardiologist is supposed to go in and do the detailed ultrasound on our sweet little boy's heart to see exactly what Andrew's "big picture" looks like. Just like my regular OB said, there are different shades of grey for this heart defect. I'm really praying it's not one of the "worse case" scenarios. Once this part is done (I'm a nervous wreck!) I believe they will start planning out the course of action for his Norwood surgery procedure, which is the first of three open heart surgeries our tough little guy will have to go through. From there we will just start the "preparing/planning process for his arrival). I've written down over 40 questions for just my next visit to the specialist and cardiologist. I hope that doesn't drive my doctors crazy. :/ My head is literally swimming this past few weeks about everything. It's crazy how you can go from planning a healthy happy baby and delivery and wondering "oh man, if my hospital is going to be Parkridge now since Hutcheson (local hospitals in NW Georgia) shut their delivery wing down, am I going to make it to the hospital in time if I go into labor at home/out"...to... "You will have to deliver down at Grady or Emory in Atlanta". (Almost 2 hours away!!) Not only that, but as soon as I have him his time clock starts ticking on his life. That's a lot of stress for a momma to bear. :( Then you have to worry about the long hospital stay, your life you've left behind at home during that time (our little girls, our home, bills etc.). I have never had to leave my sweet little girls for very long at all and that's going to be a whole new worry in it's own. :( On the plus side I have found cheaper car insurance (by $100!) and finding ways to cut back and try to save. I just hate the unknown....it scares me to death. I am praying and hoping and believing every day that God can and will get us through this. He's going to be with us through the end and we'll hopefully get scheduled and down to ATL for a planned induction around 39 weeks if little man holds out that long. If not, Erlanger downtown it is, then being airlifted we'll go. I'm just praying everything goes "as planned"... Will update again after we talk with the prenatal cardiologist to get a real idea on how severe his case and all that hopefully Monday. A FB friend posted something this morning and it made me think of how special my sweet baby really is...I went though an initial grieving stage. 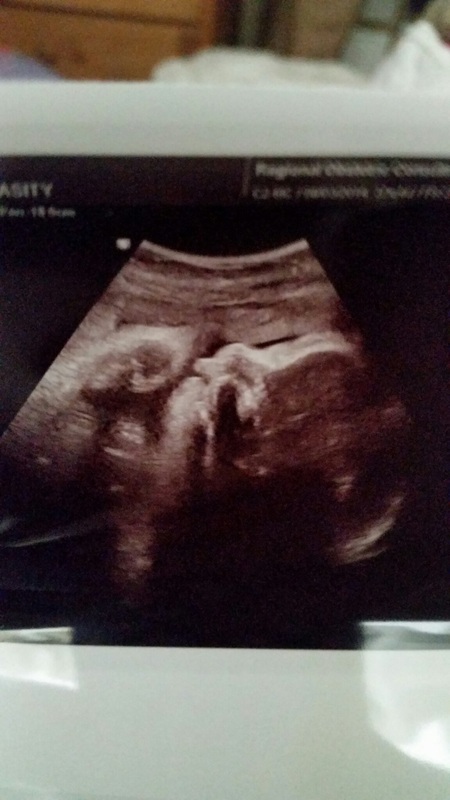 I was terrified to "bond" with my unborn baby anymore and I just wasn't looking forward to my delivery at all anymore for the longest...I wasn't ready to watch my newborn son go through so much pain in his first few days of life...When you aren't promised forever with something sometimes you are afraid to really "love" them/it because you're afraid of getting hurt, losing it/them, and just the fear of the unknown...I know that right now as long as he's safe inside the womb that he's fine...he plays and he has a strong heart beat...he's just completely innocent and has no idea what is lying ahead of him. This kills me, but I am learning to cope with it. I know as soon as he gets here that I don't need to be afraid anymore, but I need to love him every second that I have with him. Even if I dont get to hold him like a regular newborn and can comfort him when he cries, I will be able to be by his side and touch him and talk to him and let him know I will be there for him. Even if he doesn't get a lifetime with us, I still have that time with him now. It will make every second with him that much more special to me. Here I was so upset that something was so wrong with my baby, that I forgot to look at the fact that God blessed us with him in the first place. So many people can't even have children (and we were counseled by someone briefly at church this past Sunday who never got to experience having their own children)...they followed up with God having a purpose for our son. They said we don't know who our story will touch, who we will help get through similar situations, and what God can do through our son...knowing God is watching over my son has been one of the most important things that has gotten me through this and all these crazy emotions. After his diagnosis I became so upset and angry and then just immediately started grieving my son that I haven't even met yet. My faith was shaken...I had serious doubts, and I was fearful of my future/his future. We went to church as I mentioned this past Sunday and I stood there listening to the first worship song and I just could not stop crying. Somebody probably thought I looked like a crazy person if they had seen me, but this was the first time since his diagnosis that I felt peace about his birth. The song that was being sung during worship was Nothing is Impossible- by the Planetshakers. He reminded me that he healed the blind, he brought man back from the dead, he healed the sick, and made those walk again that couldn't walk...so I knew He had my son's heart in his hands and I felt so much relief for the very first time. If God did all of this why couln't I trust that He would be there with my son through his surgeries and through birth etc...Just like the outreach pastor said at our church, tragedies and chaos will either make you run from God, or seek God to give you strength to get you through. God has shown me and my family in even the smallest ways that He is watching over us and is there for us. I told a story, it looks like I’m updating before my appointment in a few weeks. First, I want to talk about what my sweet girls have been doing. Our girls keep asking us to eat out, go to the movies, or “fun” places and we reply back that we have to save money for brother because brother is going to cost us a lot of money soon. (Uncertainty of how long and cost of ATL stay if we can’t get into one of the Ronald McDonald houses and food and necessities etc…just a lot of concern and unknowns…STRESS!) 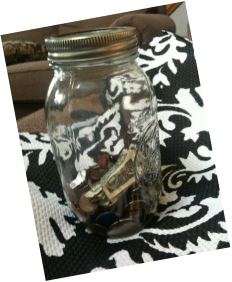 Well the girls spent one day looking over the entire house for probably a good hour and started collecting money in a jar for brother. I thought it was the sweetest thing (because everyone knows that when a kid finds money it goes right to their pocket/collection for themselves.) Even the smallest of gestures can put a smile on your face when coming from such a sweet and humble heart. We’ve also began the process of trying to explain brother’s heart condition to the girls. It’s not easy trying to answer all the questions they have because we just don’t know at this point what’s going to happen. They keep asking when they are going to get to meet brother and if they’ll get to go to the hospital to see him (I don’t even know if Shaun and I will be able to hold him or not after he’s born), so it’s been tough…I think shortly before it’s time for him to get here we are going to either buy something special from sister’s to put with brother in the hospital or have them draw some things for him…something to help them feel closer to him since he’s going to be in the hospital a long time. We’ve shown them the “after surgery” pictures so they will understand what all the wires and tubes and bandages are on their brother…I’m still definitely not ready for that one at all! I've not updated in a few days. I had my appointment Friday and we were in and out pretty quick. Dr.Anderson said it looks like I'll only see him until I'm 30 weeks, so 2 more times and then should start seeing an OB down in Atlanta, or something along those lines. I'll know more about what's going to happen with baby, appts, and doctors after we see the specialists and get down to Emory to meet with the doctors down there. Other than that my blood pressure was a little high (140/90) pre-hypertension stage. and my heart rate was up again, but that is probably because I haven't been sleeping very well and staying stressed. Sleep deprivation will do that to you. 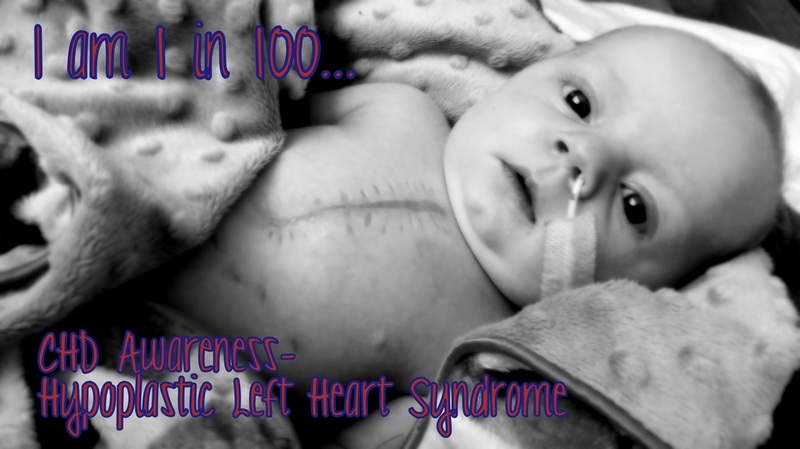 I have recently bought an e-book copy of Hypoplastic Left Heart Syndrome: A Handbook for Parents. I am trying to get through it before our specialist appointment April 17th, so I know what to ask and am a little more informed on all of this. It's been so overwhelming. Other than that I'm keeping busy with trying to get my current classes finished up and then come May I'll be taking off from school for a little while since I wont be able to complete my in-business 16 week practicum that's required for graduation. When May gets here we'll have about 3 months left before his arrival if he stays in until 39 weeks like hoped for and I'll be preparing for our long hospital stay down in Atlanta. That's all the updates I have for now. It will probably be a few weeks before my next post. We also got word that our little man was going to be put on a radio show this weekend and prayed for there. (107.5 anytime between 3-7PM) He was also added to several other church prayer lists too that I didn't know about. So cool for everyone to be praying for our little iron man. SO many people are praying. The lender we talked to before about buying a house, the car salesman and manager and business office lady at Carmax, our Ultrasound tech with Cloud nine, and too many more to name! Thank you all! This was the picture I chose to announce our pregnancy on Facebook. 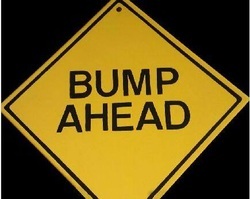 Who knew that we would literally have a "bump in the road" ahead of us with our sweet little boy. After the initial two visits we had and learned the news of his Hypoplastic Left Heart Syndrome diagnosis, we were probably not the two most grateful people that you would want to run into...We were upset and we didn't understand why something had to be wrong with our little boy. Then...as I prayed and was at the end of my line (because there is physically nothing I can do for him once he gets here) I put it 200% into God's hands. Since then I've noticed blessings all around us, helping us to prepare for our son's arrival. God has placed people in our lives that we didn't even know that's comforted us more than they could imagine, and he's brought old friends and others we only briefly met into our lives again, including a pastor at the church we visited several months ago...I think any parent that goes though something so serious as this with their child they feel completely helpless and need to hear reassurances where they can (which we've been blessed to have them all around us in just the first week of knowing). More specifically, I want to talk about the day that God blessed us with one of our bigger stresses that we've had hanging over us since December this past year...our Escape...we have 3 children already and had little brother on the way and the Escape we had just wasn't working and wasn't going to work for our needs with baby brother coming. We tried in December to trade it in through Carmax in Chattanooga and the lady that appraised it said it had transmission issues, scratches down the passenger side door (which was some sort of hard wax or plastic that streaked down the side that wouldn't come off. It actually looked like a huge white scratch down the side) other than that she said the back bumper needed to be removed and painted and soft buffed...just the amount of problems she said were adding up and knocking down trade in value tremendously. We were so bummed and went home and just had this dread that it was going to be $$$$ to fix. She said anywhere from a $50 fix to a $5000 dollar fix. NOT what we wanted to hear. 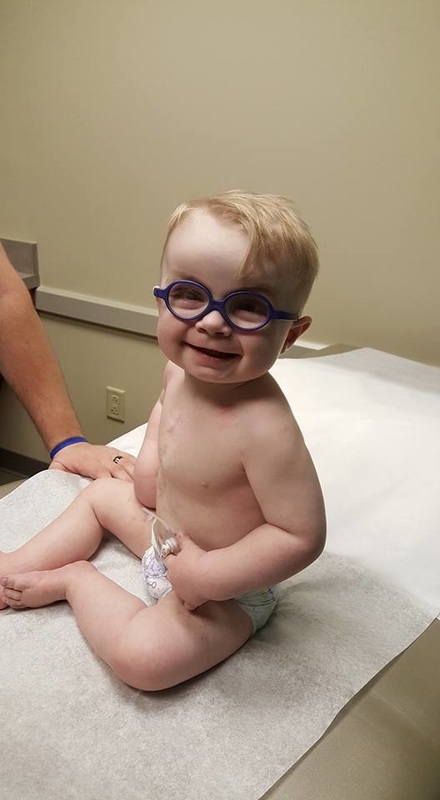 Then come this past Thursday we had our specialist appointment and learned of baby boy's diagnosis and knew we would be traveling a lot to Atlanta. 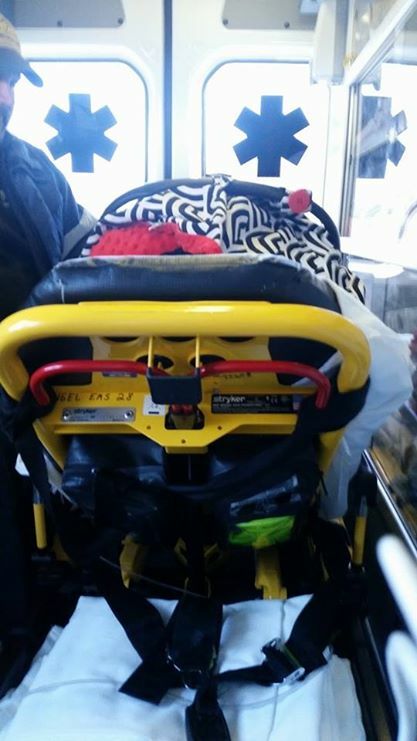 We knew we had to have a new vehicle asap and it was going to have to be reliable and have plenty of room for our family to get back and forth to his future surgeries, hospital and doctor visits etc. and began to pray. Immediately after we left the specialist we took the Escape to a good long time friend of my hubby's, Josh Moore, out at Hixson's Express oil change and dropped the car off to be worked on to fix EVERYTHING that popped up wrong with it (Which turned out that our warranty covered the 967 in parts and labor etc. and all we had to pay was $50..NOT $5000!). We left there and went to look at Carmax maybe one more time to see if we could find anything since we were having everything fixed and was going to try again on our trade-in with the Escape. We found a really nice van fully equipped with everything we knew we were going to need for our family and special needs son and was sold that day. We even went to other dealers and just couldn't get a deal like we could at this place. We knew that was where we were going to sit down and try again. We went Friday afternoon and picked up our Escape. Ice cold air blowing on us and the O2 sensor fixed (aka the transmission problems it was said to be having). We were ecstatic and highly recommend our buddy Josh Moore at the Express oil change in Hixson, Tn! Because of Josh we got to trade in our car the next day! As we entered the Carmax parking lot early Saturday morning we were nervous and holding our breath that God would still let the van we found be there. Literally as soon as we pulled into the lot the guy on J103 started talking about people needing to buy new cars and that they would find what they want at so and so place, and I got this calm over me that God knew we really needed this now and that we wouldn't be turned away with bad news this time, and leaving in that crappy Escape we had so many problems out of. Now was appraisal time, everything that she marked before took off tremendously from the trade in value. :/ Funny thing is, we took our car to have the "lava wash" done out at the big 3 minute drive through car washes the day before. I'm not sure what it was about that car wash but it melted that plastic/wax on the side to where it felt like a sticky sticker residue and I just washed it off real easy before we got there to have it appraised. So outwardly it had nothing wrong with it now like she said before. The guy took 20 minutes to appraise it and came back and said, well I can't find anything that she mentioned before. It drives fine (no transmission issues, Thanks Josh!) and the air worked perfectly (aka no more condenser issues!). He also said there was no outward scratches on the passenger side (that part that mysteriously FINALLY came off prior to the visit) and that the bumper didn't need any big paint job like she said. It bumped our trade in value 2,000 dollars! We were a lot more satisfied with this this time. Finally we come to the closing part and had just one owner (Shaun) on the car and was literally almost done. Something bounced back and they wouldn't take his military pay as proof of income so we had to do a redo with me as a co-owner. It turns out it dropped our payments $50 dollars a month! We're then thinking...okay God now you're just showing off haha. The lady that completed the sales in the business office was wearing cross earrings and a Jesus fish ring on her hand. She sat down and was asking about my pregnancy and the van and we told her about the baby and his upcoming birth, surgeries and she told us...my brother was told he wouldn't make it because of a rare disease he has. She said it would stunt his growth and they were not very positive about his diagnosis either. She said to this day he is six foot 2 and weighed 259 pounds. So she reassured us that even our little boy who isn't given the best odds at birth, could make it too! We left in our brand new van and a blessed and happy heart. Even after all the bad news we had received prior about our son. God may bring us to a situation, and sometimes ones so serious that we don't understand why they have to even happen, but He will get you through it every step of the way...starting with our biggest stress since we found out we were expecting. I know God has my son's little heart in His hands and that He upholds my husband and myself and my family as we face what's to come. Even in the bad times and the things that didn't go the way we had hoped, look for God's blessings and His faithfulness in getting us through those dark situations. He's always there when you learn to trust him and put your faith in him, and actually look for Him. :) You just have to learn to take his blessings and reassurances as they come because if you're not careful you'll miss them. A positive attitude is everything in times like these! My name's Chasity Rhodes and I have been married to my husband Shaun for ten years now. We have three little girls and a very special little boy! We are your average goofy family who has always been huge on spending time together. We wouldn't have it any other way! Follow us through our journey with our son (who was diagnosed with HLHS).